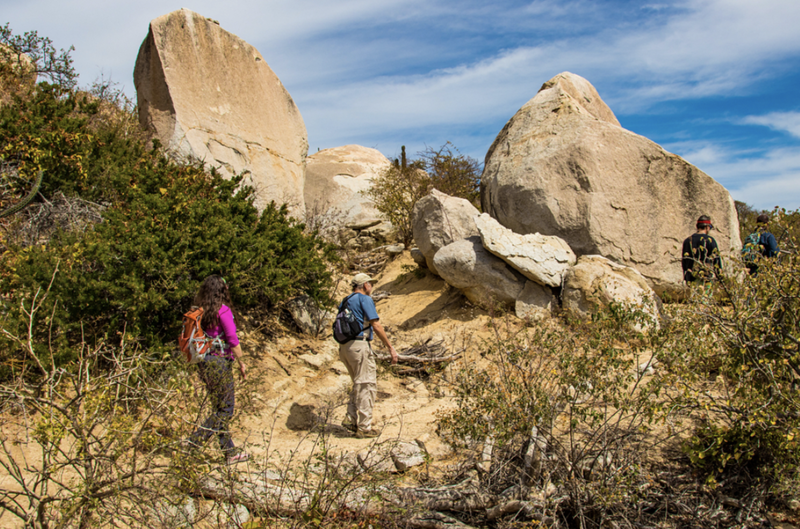 Explore the rugged dryland forest of the Sierra Cacachilas on an outstanding network of hiking trails that overlooks the azure Sea of Cortez. 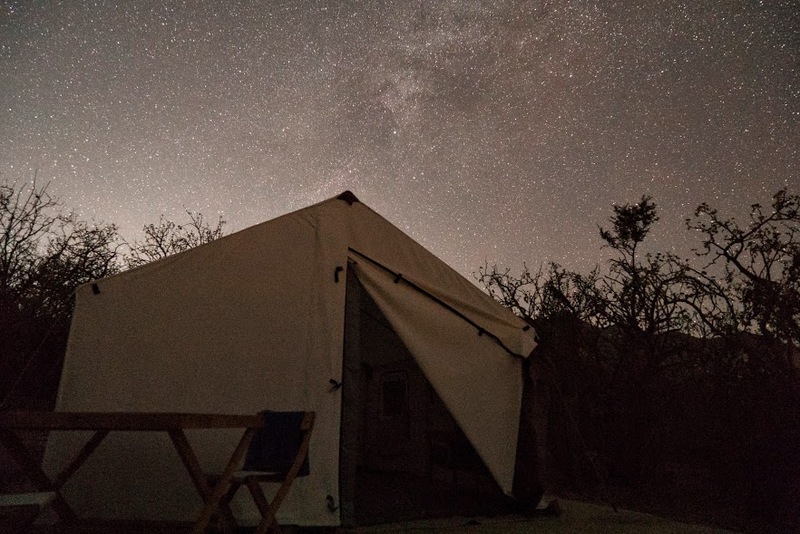 You’ll love the total immersion into nature and being off the grid with only solar powered energy and no WIFI for distraction. 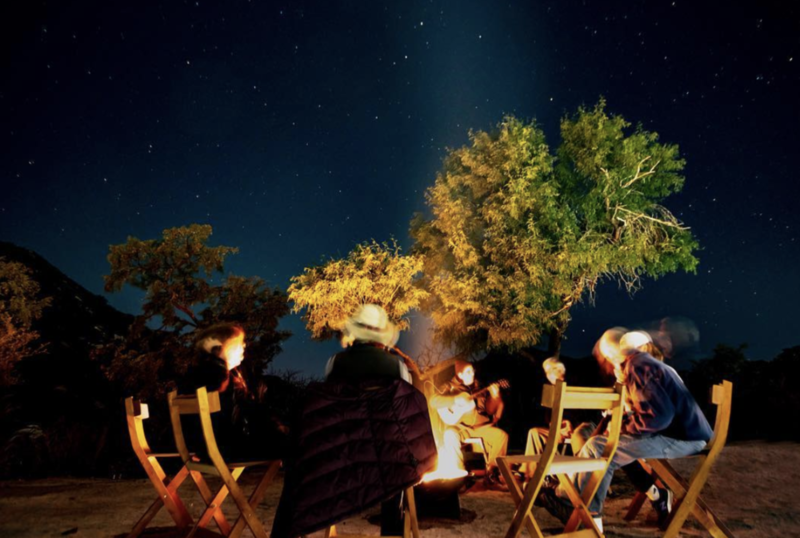 Dark nights, amazing stars, natural history, pictographs, 100-year-old Cardon cactus forests and culinary delights await you. $200 USD per person per night. All inclusive. Welcome to Rancho Cacachilas, you will be arriving into our Mountain & Bike Hub at Sargento, La Ventana (45 min east from la Paz, and 1.5 hours from San Jos del Cabo). We'll hop on the shuttle and head to our first stop to visit the ruins of Canoas, an old mining foundation nestled in the mountains. After lunch, we'll head to our basecamp for the week; Los Pisos. Once settle in, we will hit the trails for a short hike to see the campground and visit the natural spring. After a hearty breakfast, we'll hike to see the pictographs of los Pescaditos; old rock art paintings created by the Guaycuras who were ancient hunter-gathers that once lived in the area. We will then return to the campsite for lunch, and to relax for the afternoon. Afterwards, we'll wrap the day up with a visit to the old mining shaft of el Tesoro and get to dive into its history. We will enjoy a relaxed morning at the campsite, then take a hike through the mountains. The reward for the climb? Awe-inspiring views of the sea and islands in the distance! When we return to basecamp for lunch, you'll have the afternoon to explore and unwind. You can even use this time to participate in an activity like our cheesemaking experience! After breakfast, we'll hike to the beach! There, you'll have the option to extend your stay at La Cruces resort (we'll help you make the arrangements w/ our Sea of Cortez Package Add-on!) or we'll continue to hike toward La Ventana hot springs and beach where we'll have some time to relax before we depart. Experience the abundant marine life and spectacular beauty of the Sea of Cortez at a historic seaside resort with this perfect mountains to sea tour add-on.